So, it’s official! We are a Great Place to Work. I always thought we were a great place – inclusive, non-hierarchical, diverse, treating each other well and focused on living by our core values of Quality, Caring, Trust and Teamwork. But now, we’ve had an independent third party ask our team for feedback and they’ve confirmed that we are the positive, collegial workplace that I think we are. It’s great that we made it to this accomplishment through the direct feedback from those who work here. It’s cool to see us on the same pages as some of the largest banks and companies in Canada; with what are perceived to be creative, forward-thinking companies such as Arc’teryx and Salesforce; with Cactus Club and Joeys, and many other household names. It’s also great to be on the same page as our good client Beedie. 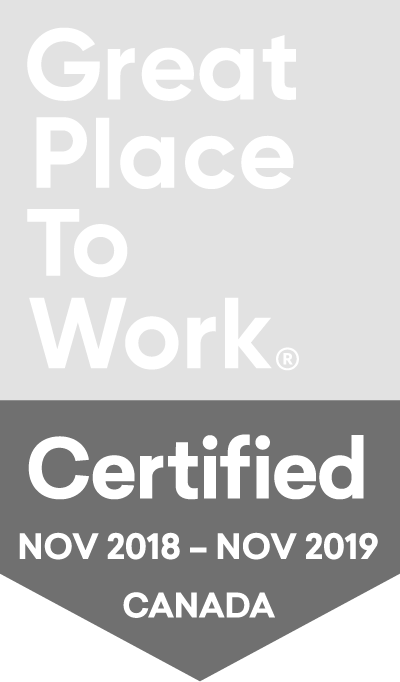 I’m really proud of our designation as a Great Place to Work. We’re not perfect, and we’ll continue to work hard to live up to our core values and to continue to improve, but for now this is a wonderful acknowledgement of who we are.